Cooperators and co-operative organizations celebrated the festivals of color- Holi with enthusiasm and gusto across India. Led by its CE N Satyanarayan the apex body of cooperatives National Cooperative Union of India (NCUI) staff-members also covered each other with colours. The social media handle of NCUI posted several photos showing its employees being covered with colors. NCUI CEO N. Satyanaryana who was also present on the occasion took part in the celebration in high spirits. 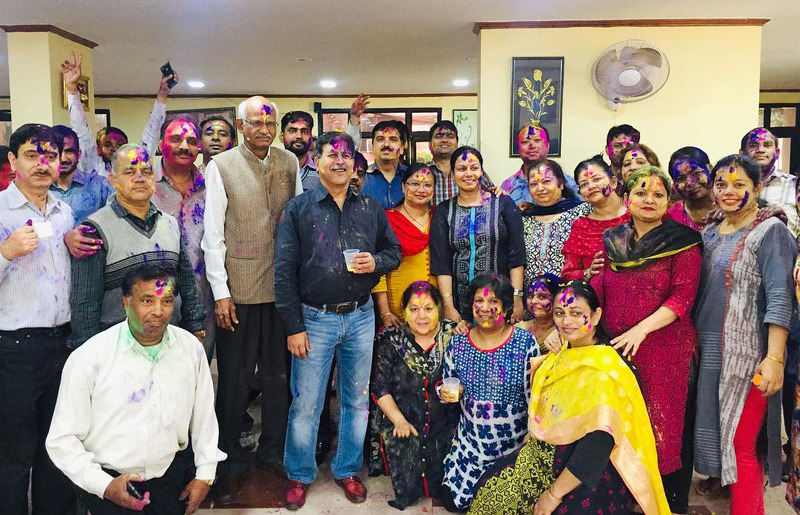 NCUI social media handle wrote, “NCUI Employees Celebrating Holi. NCUI wishes the entire Indian Cooperative Movement a very happy festival of colours…!! Later, NCUI employees shared the Facebook posts on their walls and greeted the cooperative fellows. Senior officials’ as well junior officials celebrated the eve together.